Is this warning really for reals? I mean, who puts their baby on a treadmill??? 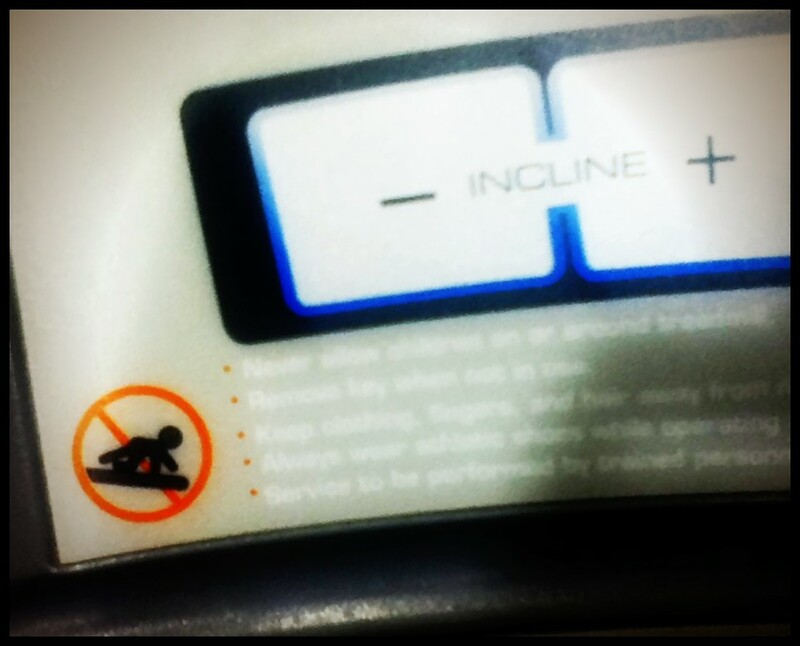 Who even thinks to put a baby on a treadmill??? It’s called baby fat for a reason. What baby just decides that crawling outside (or on the carpet) is for the birds and what he/she really needs is a 15% incline on the ‘ole mill??? I don’t know, but apparently there must have been some complaints about the babies taking too much time on the treadmills. 30 minute limit, baby! Shesh! All I know is that after I saw this warning, all I could hear in my head was Dave Chappelle saying “Hey baby!”. I guess that is fitting since babies that sell crack and babies that crawl on treadmills both have problems. Maybe the babies dealing crack are the ones on the treadmill!